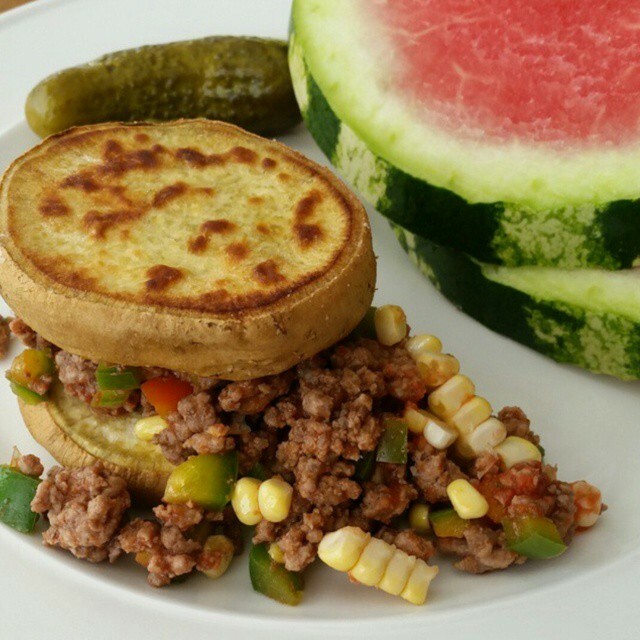 One of my favorite ideas for burgers/sliders, or sloppy joes’s on the weekend! We have a lot of Paleo, & Gluten-free friends, so this serves as a FUN solution! Toss with 2 Tbsp olive oil, or avocado oil & a few pinches of sea salt. Until tender in the middle/crunchy on the outside. My kids love these with a pickle & Slice of watermelon! 1-16 oz organic tomato sauce or organic strained tomatoes. Brown lean grass-fed ground meat with the peppers, onion, garlic & celery. I have used turkey, beef, & bison-all with great results. Combine cooked meat with all remaining ingredients. Heat on med/low while stirring for about 5 minutes, until combined & heated through.